"By the time we get to 2020, Donald Trump may not be President… In fact, he may not even be a free person," Warren told an audience at a campaign event on Sunday in Cedar Rapids, Iowa. "Well come on. How many investigations are there now? It’s no longer just the Mueller investigation," Warren said. "They’re everywhere and these are serious investigations, so we’ll see what happens." 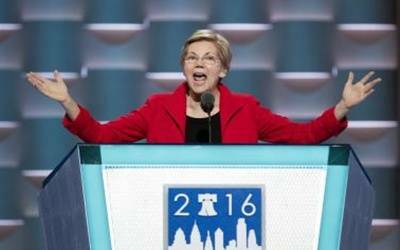 "Every day, there’s a racist tweet, a hateful tweet, something really dark and ugly," Warren said of Trump.